We will be taking a break from accepting new communities through April 22nd. We appreciate you understanding our commitment to excellent client care. We look forward to you joining us in a few weeks. Incredibly easy to use and elegant: Once you login, everything you need is just one click away, presented in a modern intuitive layout. All inclusive service, and easy cancellation: Month-to-month service and all inclusive pricing regardless of the number of units means we work hard to keep you happy. 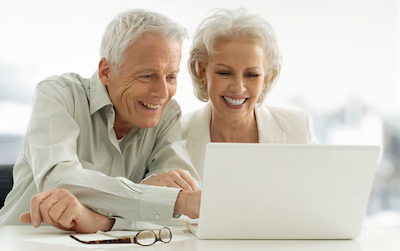 Easy to administer: Even people with minimal computer skills find it a breeze to manage their community website with our content management system. Security and privacy: SSL encryption included on every site and minimal information is collected from users. 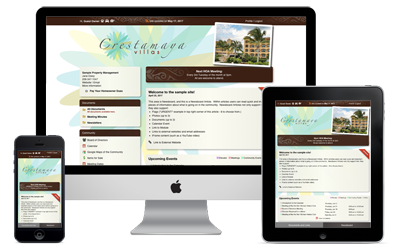 Responsive design: Our websites look beautiful and are fully functional on a computer, tablet, or smart phone. All inclusive price - regardless of your association&apos;s size. No setup fees, domain fees, long term contracts, hidden charges, or termination fees. Includes all of our services, amenities, domain registration and renewal, hosting, and unlimited admin support.